Like being the snazziest dresser on the block? Pick up a BC Diesel 100% cotton pre-shrunk ladies style short sleeve t-shirt today! Available in black or grey. Like being the snazziest dresser on the block? Do you also like to stay warm? 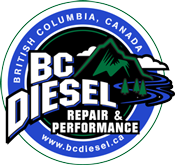 Pick up a BC Diesel 100% cotton pre-shrunk long sleeve unisex pullover hoodie today! Available in black or grey.